Congratulations to Black Knowl and Englethwaite Hall! 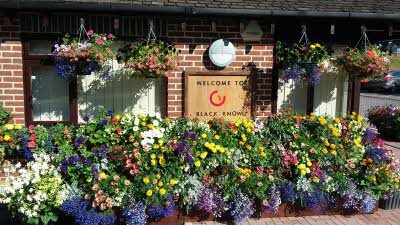 Located within walking distance of the village of Brockenhurst in the New Forest National Park, Black Knowl Club Site took the prestigious Sites in Bloom award in the multi-couple category. The site opens onto over 140 miles of walking tracks so visitors can easily explore the national park, whether on foot, cycle or horseback. Englethwaite Hall Club Site also received first place in the single-couple category. This tranquil oasis scattered with rhododendrons from the garden of the former Old Hall is especially popular for walkers, with its uncrowded landscape and scenic beauty within the Eden Valley. Scarborough West Ayton Club Site in North Yorkshire surrounded amongst gorgeous natural greenery took second place in the multi-couple category, whilst the Garlieston Club Site in Dumfries & Galloway came runner up in the single couple category. 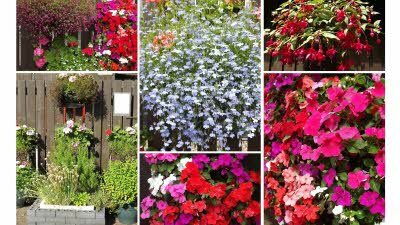 What are the Sites in Bloom awards? The Sites in Bloom Awards were introduced in 2003 by Caravan Club Life Member, the late Alan Payne OBE, who wished to recognise the creative and horticultural skills of site staff and volunteers, and to showcase their success in making their sites colourful and welcoming. The displays were evaluated using criteria including layout and creative use of space, variety, innovation, flair and colour coordination, with particular attention being paid to economy and low maintenance. The geographical location of the site is also taken into account by the judges and the fact that plant species are chosen to suit the local environment. In 2016, with cascading oranges, lilacs and pinks that welcomed guests with a dazzling array of colours, Scarborough West Ayton Club Site received the highest commendation under the multi-couples category, creating a wonderful display of florals. Garlieston Club Site also won big in the single couple category with judges commenting on the well-kept, peaceful gardens. For those inspired by the superb display, they can venture to Galloway House to see the famed azaleas and rhododendrons. 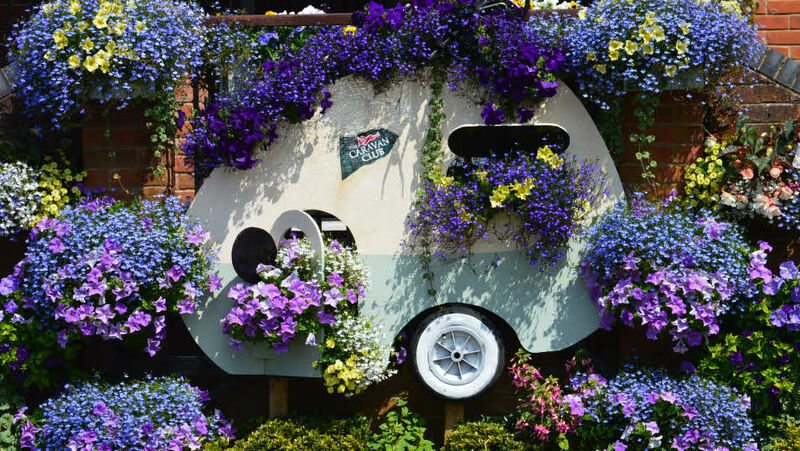 In 2015 Tewkesbury Abbey Club Site was named the Caravan and Motorhome Club’s ‘Site in Bloom’ winner. The Gloucestershire-based site adorned its reception with bright blooms, carefully chosen to mirror the colours of summer – lilac and purple with accents of yellow. The stunning display was carefully cultivated by site staff Mike and Ros Mears. 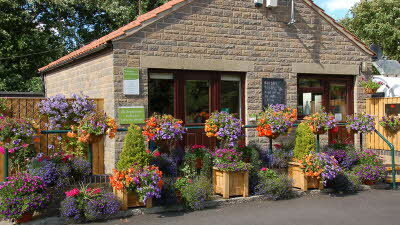 The runner up was Morn Hill Club Site, whose pretty collection of flower pots and proud sunflowers wowed the judges. 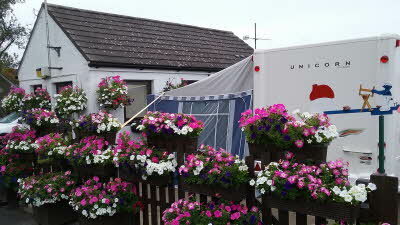 Malvern Hills Club Site's bold red and orange hanging baskets were also a fantastic site, and took third place. In 2014 Chester Fairoaks Club Site in Cheshire scooped the top award for being the prettiest of the bunch! Their gorgeous displays of bright florals that made the reception look like 'a country cottage garden' according to the judges. There were traditional rose bushes, ornamental grasses and pretty pansies on display. The 2014 runner-up was Buxton Club site in Derbyshire with their brightly co-ordinated yellow and lime green baskets. Blackshaw Moor Club Sitein Staffordshire and Tewkesbury Abbey Club Site in Gloucestershire both shared third place for their adorned reception areas.